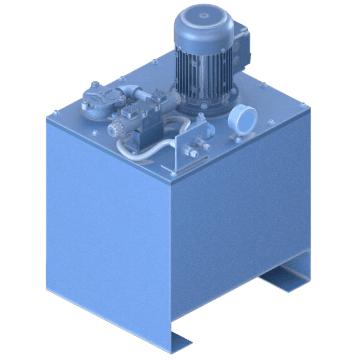 Drive your hydraulic system with these AC power units, which are typically larger than DC power units. 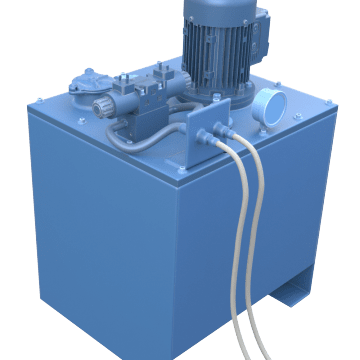 They consist of a pump and a reservoir tank. 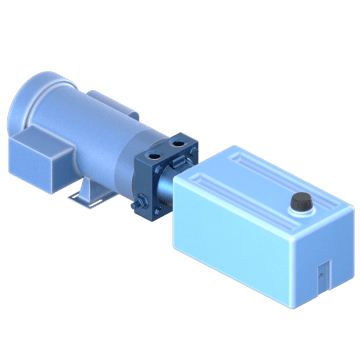 To provide adequate heat dissipation, choose a unit with a reservoir that is two to three times larger than the pump's expected output per minute. A good choice where floor or other horizontal space is limited, install these units onto a flat surface with sufficient vertical clearance. Use these units in areas where vertical space is limited and there is available floor or other horizontal space.